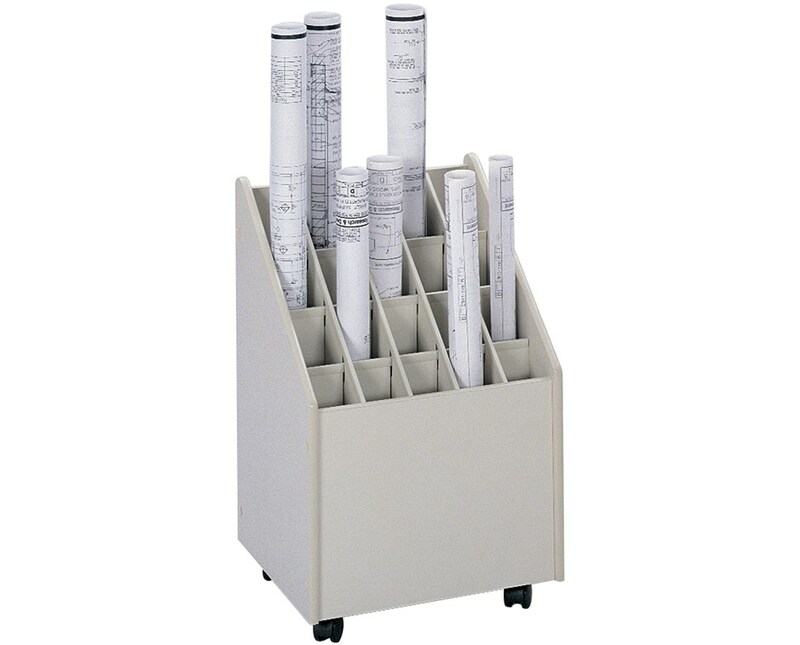 The Safco Mobile 20-Compartment Roll File hold blueprints, maps, plan drawings and other large documents. It holds weight up to 50 pounds with weight evenly distributed. 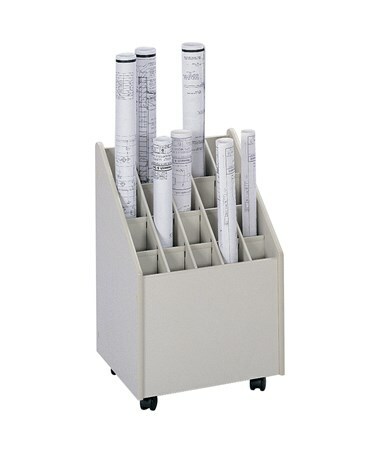 This upright roll file has an overall dimension of 15 ¼"W x 13 ¼"D x 23 ¼"H and a compartment size of 2 ¾"W x 2 ¾"D. Having 20 compartments, it can fit rolls with 2-3/4-inch diameter. This mobile roll file features a grandstand design with a textured vinyl laminate putty finish for a classy look. It is made from durable furniture-grade particle board and 80 percent recycled content. For mobility, it includes four carpet casters with two-inch diameter wheels. As an additional feature, it is easy to assemble.